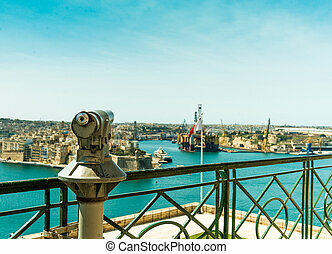 View of valletta, malta. 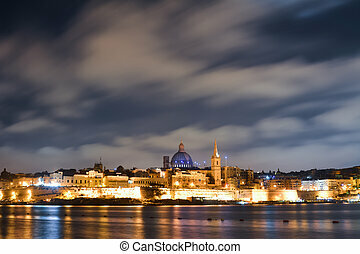 View of valletta with our lady of mount carmel church dome, malta. 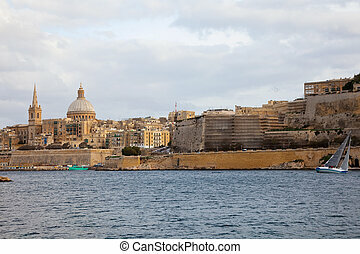 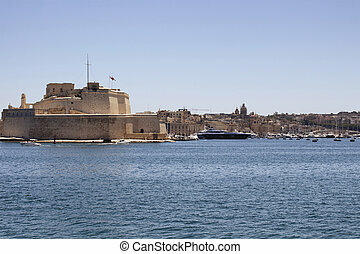 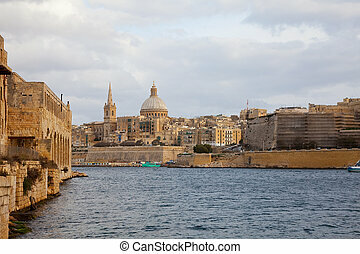 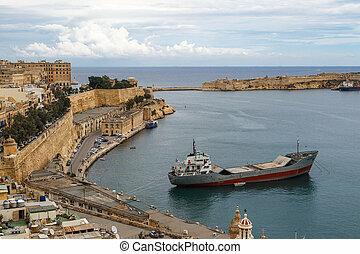 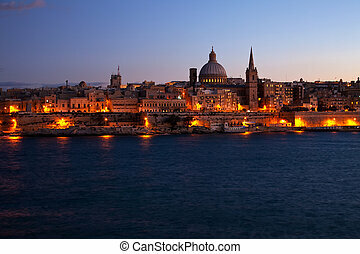 Amazing view from the sea on the beautiful harbor of Valletta, Malta. 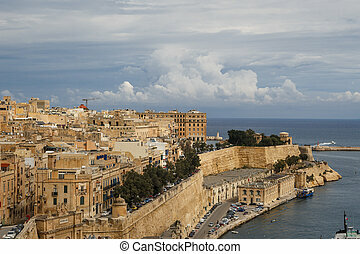 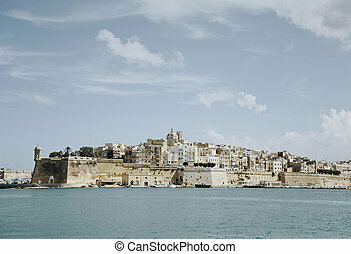 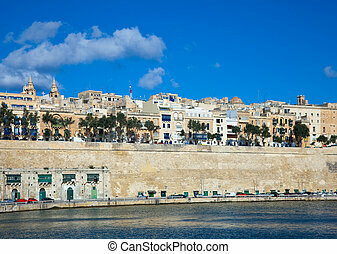 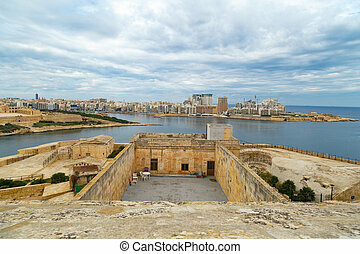 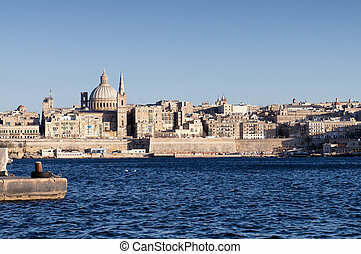 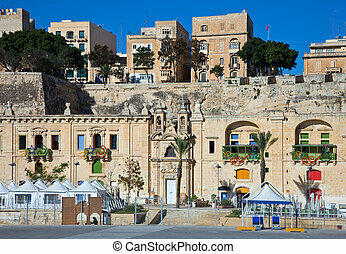 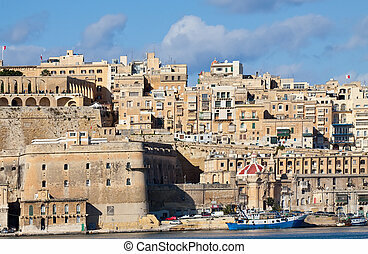 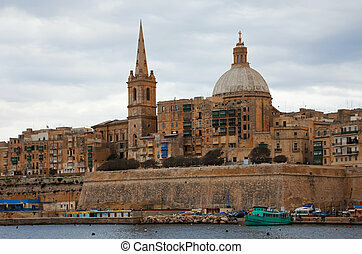 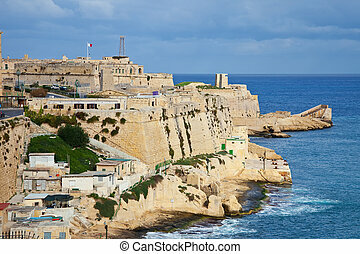 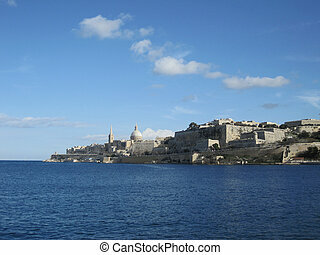 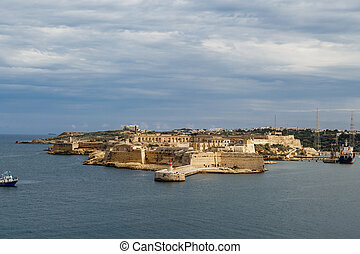 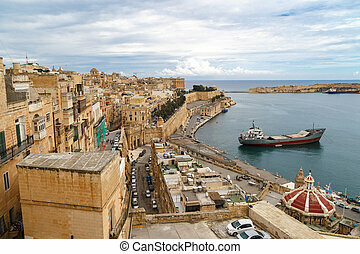 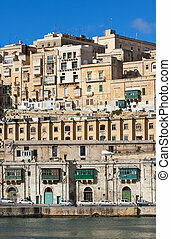 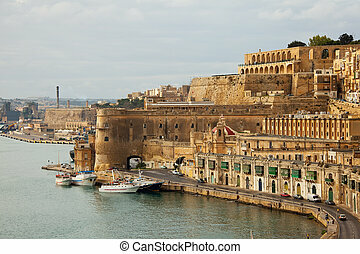 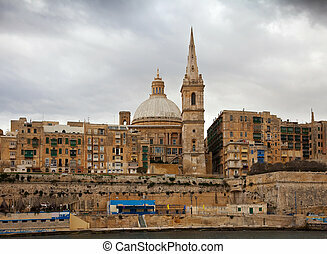 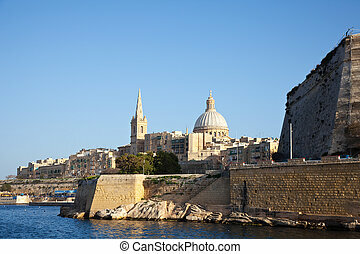 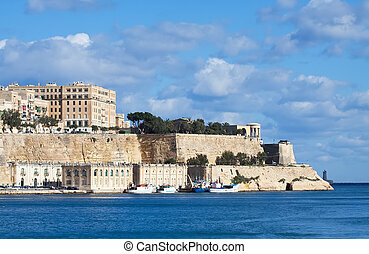 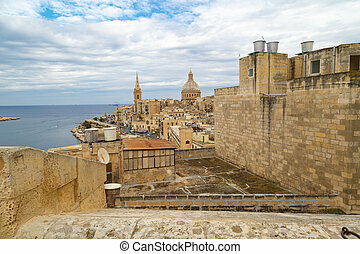 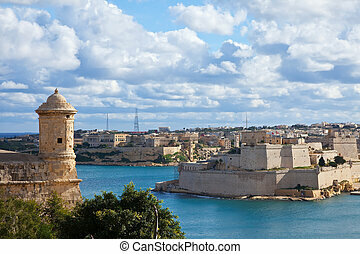 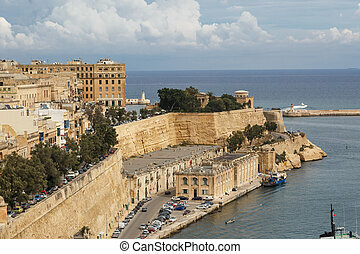 General view of Valletta, Malta island with seascape, port and historical limestone buildings from medieval times. 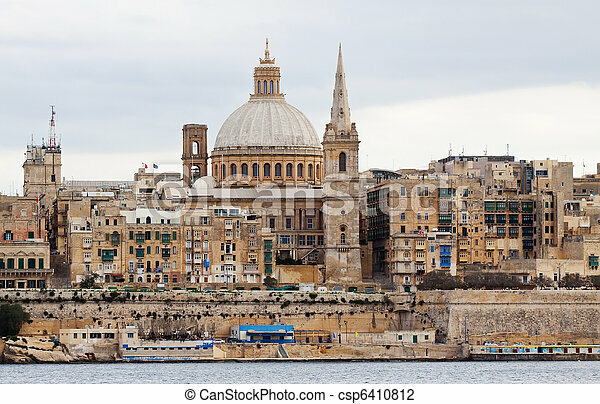 VALLETTA, MALTA - OCTOBER 30, 2015 : General view of Valletta, Malta island with seascape, port and historical limestone buildings from medieval times. 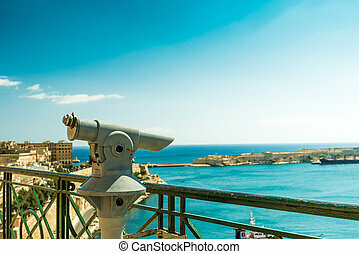 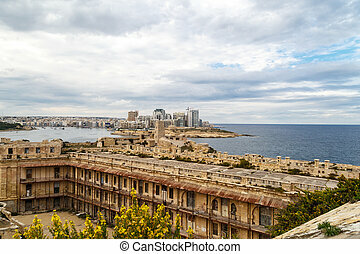 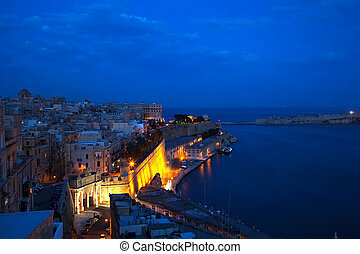 View of Valletta city in Malta.